A missionary priest, Archbishop of Dakar, Apostolic Delegate of the Holy See for French-speaking Africa, Superior General of the Holy Ghost Fathers, a member of the preparatory commission of Vatican Council II and finally founder of the Society of St. Pius X, Archbishop Marcel Lefebvre is a great figure of the Church. He is remembered as the bishop who opposed the New Mass and the reforms of Vatican II. His entire life helps us to understand why. Marcel Lefebvre was born in Tourcoing, in northern France, on November 29, 1905, the third of eight children. The five oldest would consecrate themselves to God: two priests and three sisters. Marcel was baptized the day after his birth. He received a deeply Catholic education within a pious, industrial middle class family. His father managed a wool spinning mill. He received his First Holy Communion on December 25, 1911. 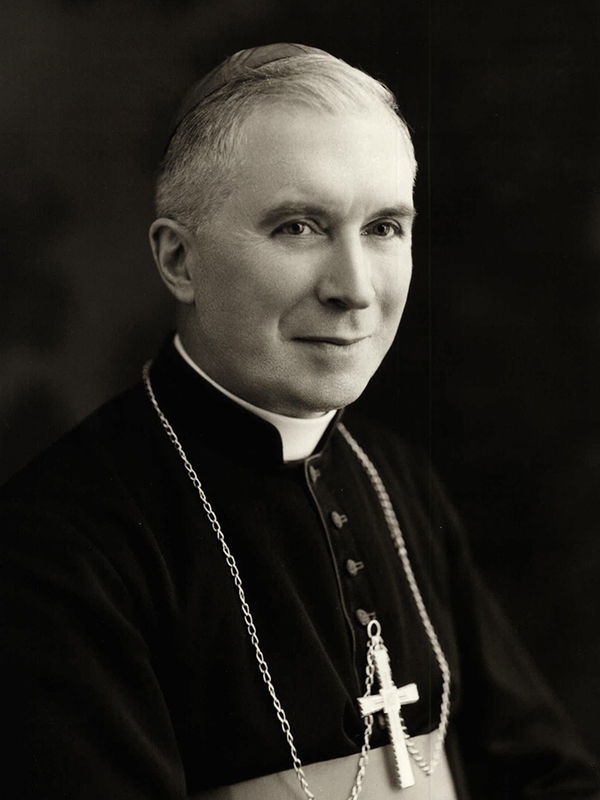 As a member of the Eucharistic Children’s Crusade, he became a Crusader in 1920.